Although there are other options and considerations for a good Business Website, the aforementioned are the ones with the most emphasis because they allow clients and customers to engage with the company with ease. The ones to be featured are good pegs and inspirations so that you will know what to look for in creating or improving your own website. Rubicon Software Development’s simple one-page website is easy to use and even easier to understand, getting their point across with just a few words and icons cleverly crafted together so it doesn’t take up too much reading time. This is good for well-established companies that only need to introduce what they can do for their clients, without the fuss and hassle of other content. 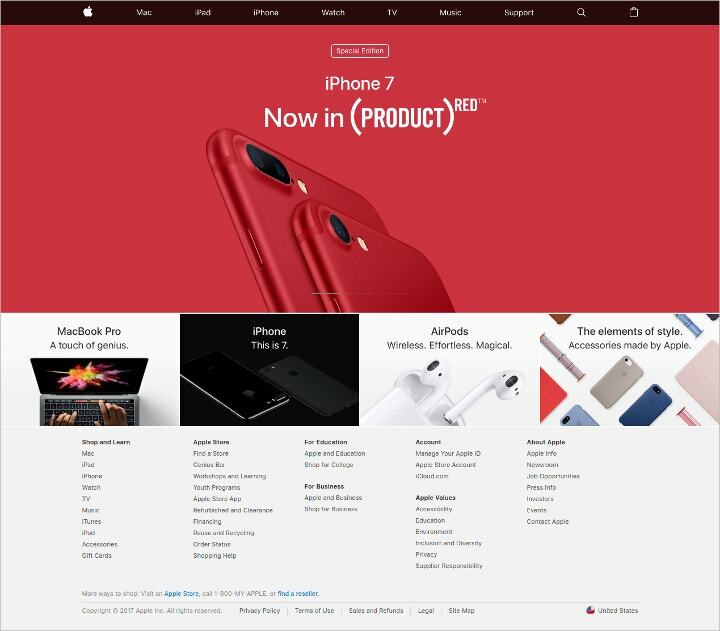 The Apple website has a simple and minimalistic layout much like the devices they are known for. 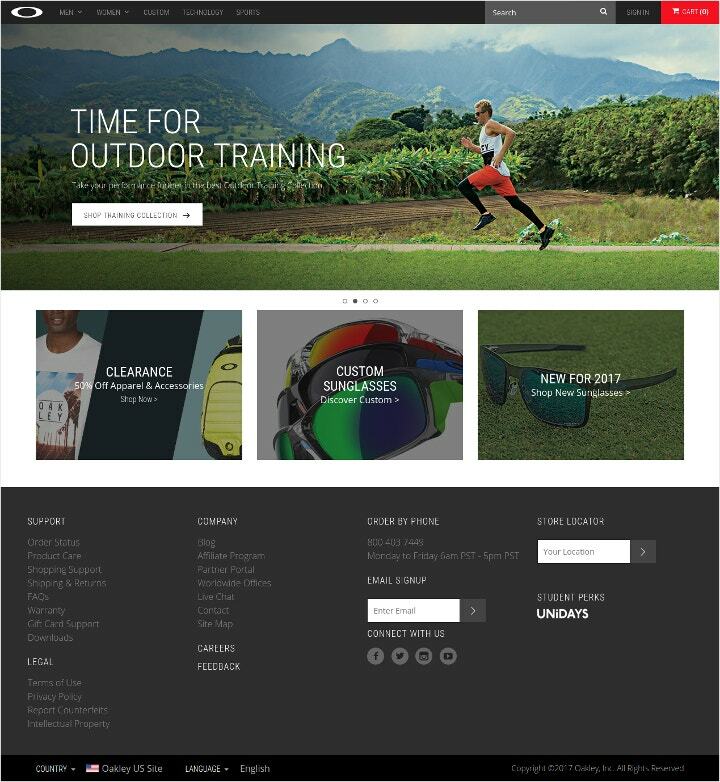 Their homepage also serves as an advertising platform, showcasing their best and latest products. This layout is good for online shops and restaurants that could benefit from visual appeal and the advertising space. 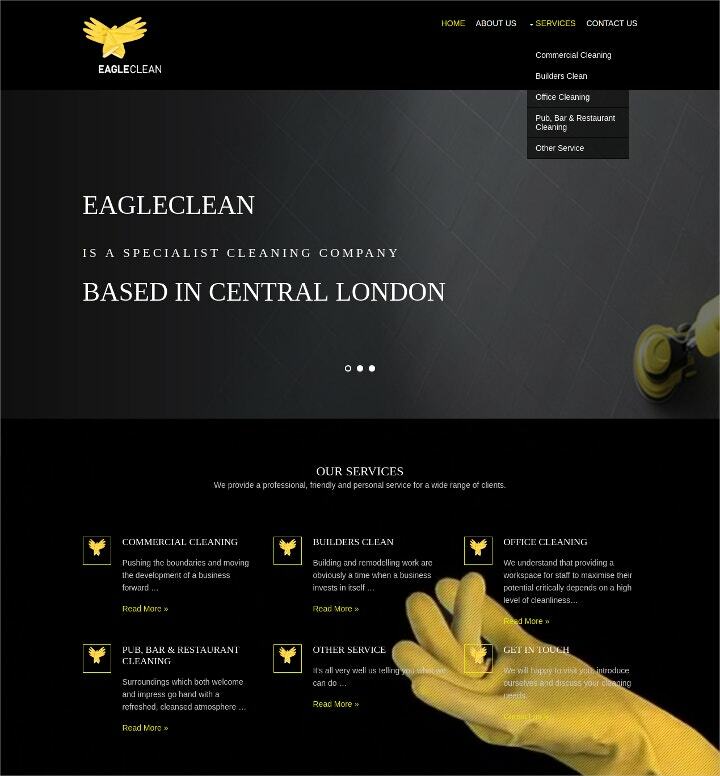 Aside from the witty use of rubber gloves joined together to create their eagle logo, the website itself is efficient in delivering its message across. 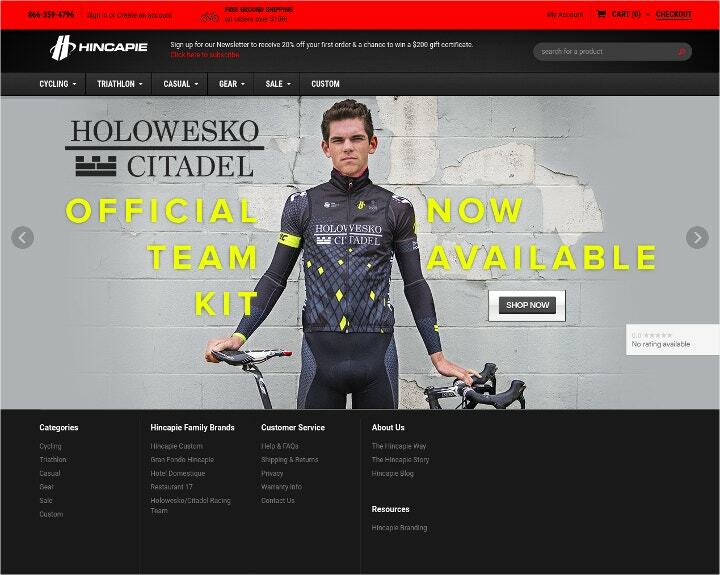 The black, gray and yellow colors of the website looks modern and professional. 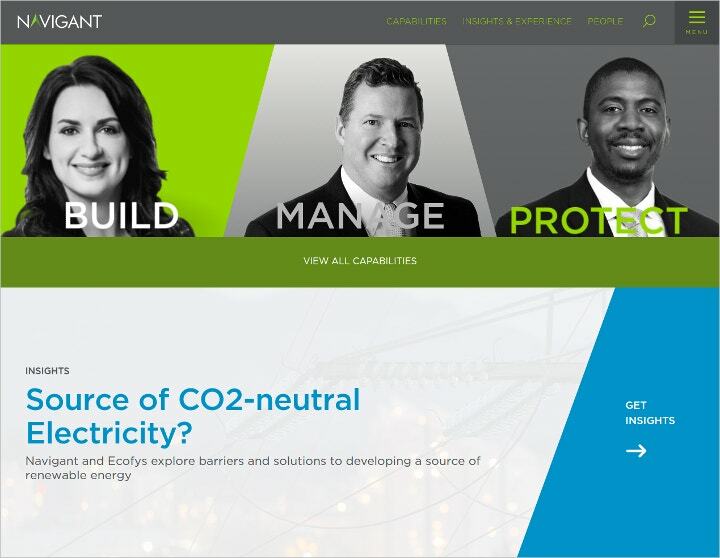 The Navigant website is pretty in-depth, giving a lot of details without compromising space and format. 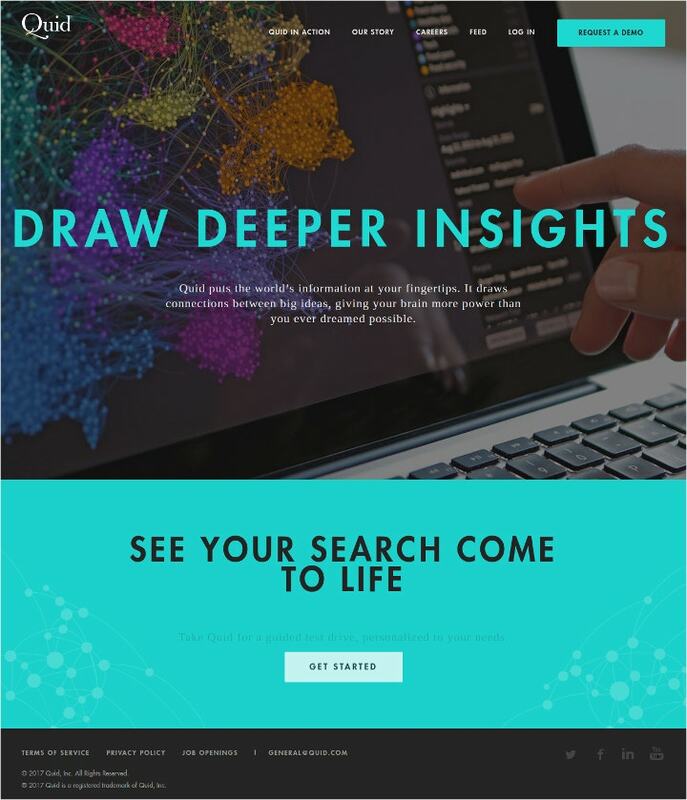 Their web design is perfect for companies in the medical field. 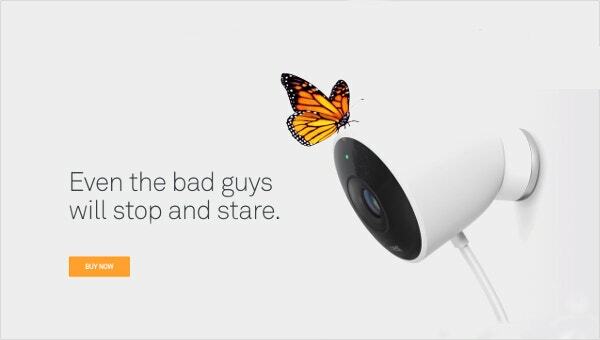 The Nest is a company that sells monitoring devices such as cameras and temperature regulators, and they offer an application to go with those products. 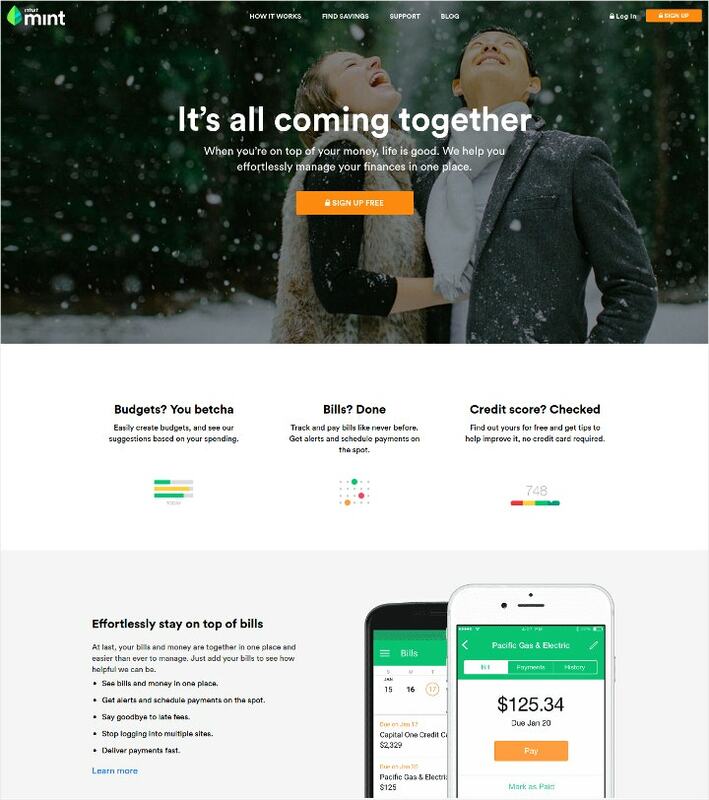 The homepage is neat and simple, which could serve as good inspiration for online shops and other companies that sell devices. 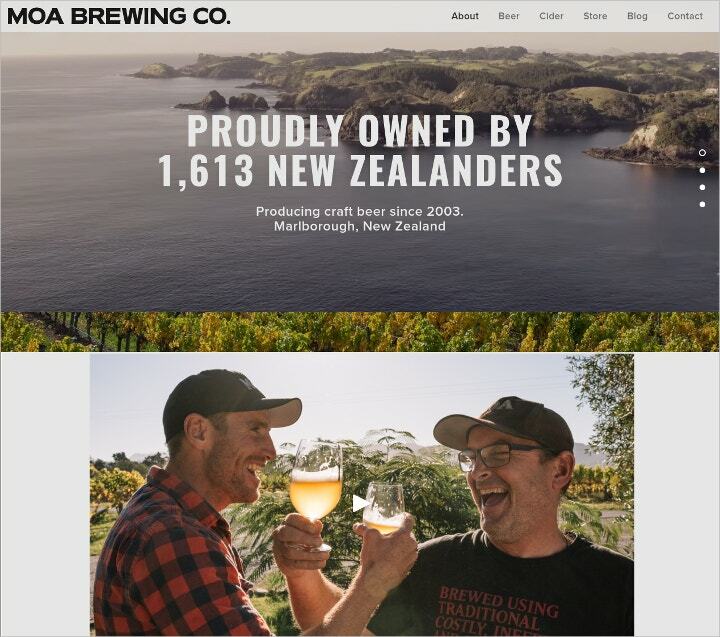 The Moa Brewing Company site enrolls a visually-appealing parallax scrolling design in its homepage, making the visit to their domain more intimate and personal. 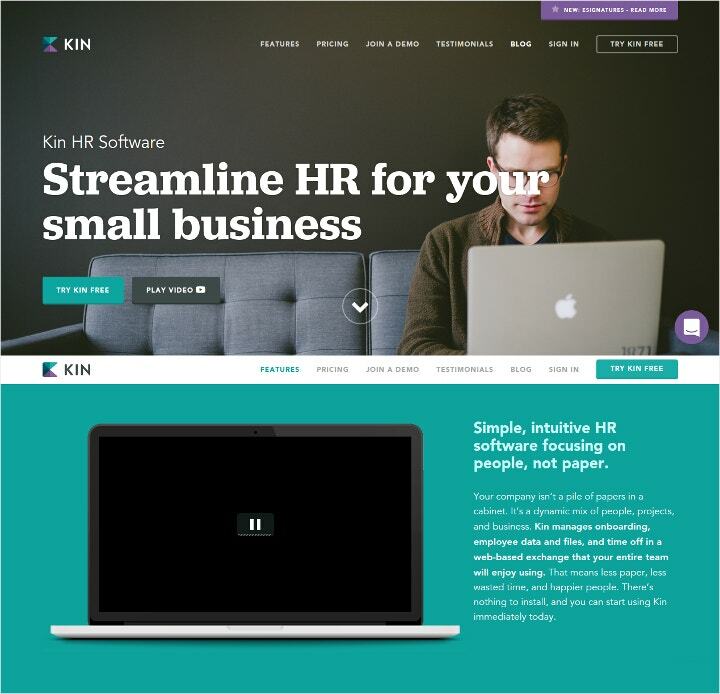 The intimate web design they applied is ideal for small businesses that were born out of their founders’ passion and dedication to their craft. 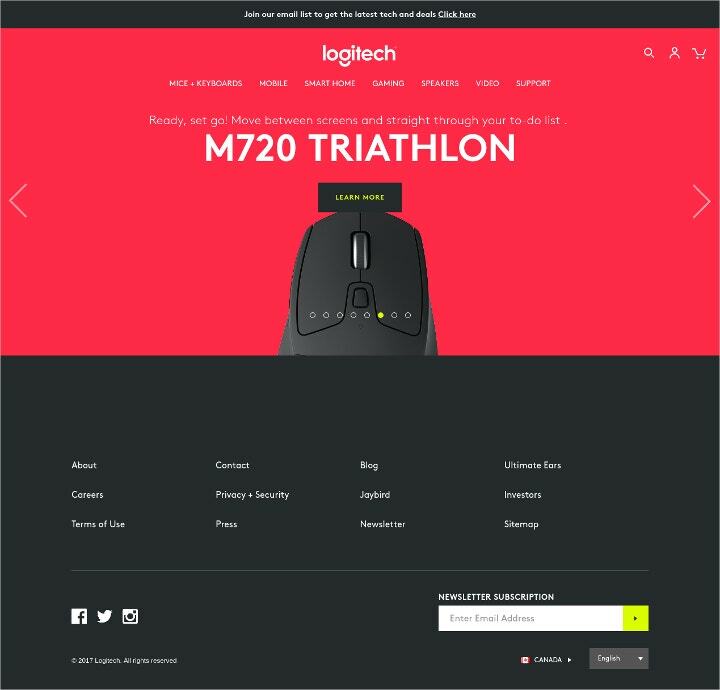 Logitech as been in the technology industry for decades so it comes as no surprise that they have a fresh and modern look for their site. Not exclusive to tech businesses, the same look can be used by those in the fashion and retail industry. 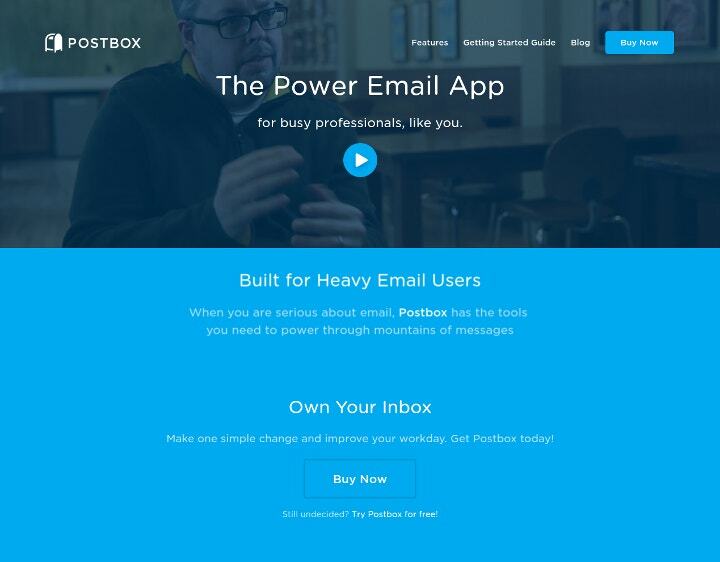 Postbox utilizes a video player in their homepage instead of the usual slideshow, creating an interactive experience and giving a sneak preview into the video advert. 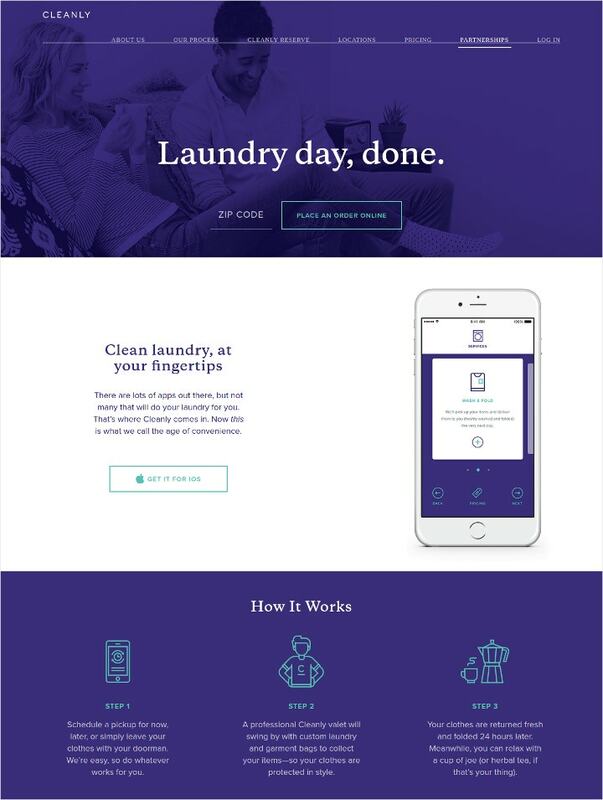 A layout similar to theirs would be beneficial to entrepreneurs in industries that rely on trust since the main color scheme, blue, denotes trust, stability, and depth. 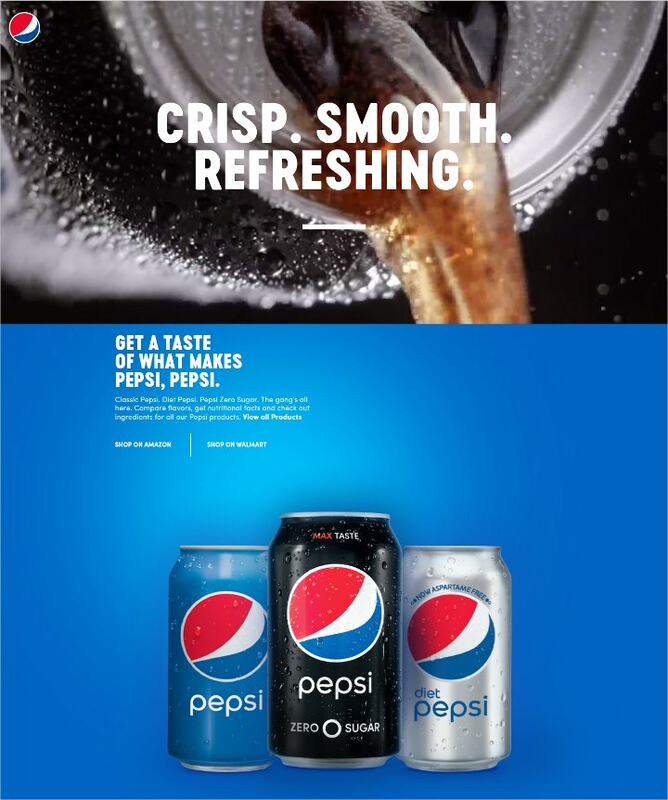 The Pepsi website is interactive and bubbly, showcasing the personality and social media presence of the brand. 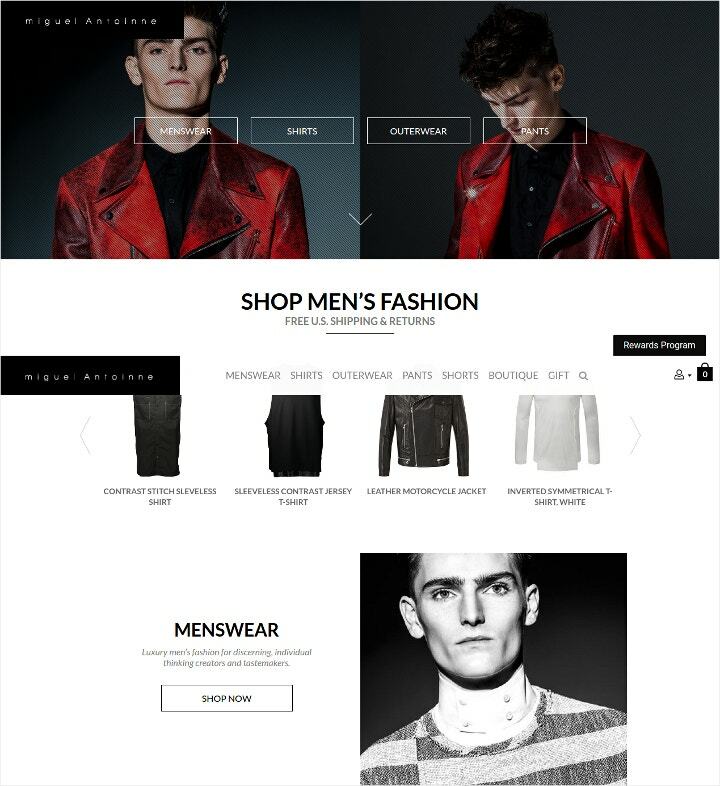 The same look can be implemented for fashion brands and businesses from other industries. 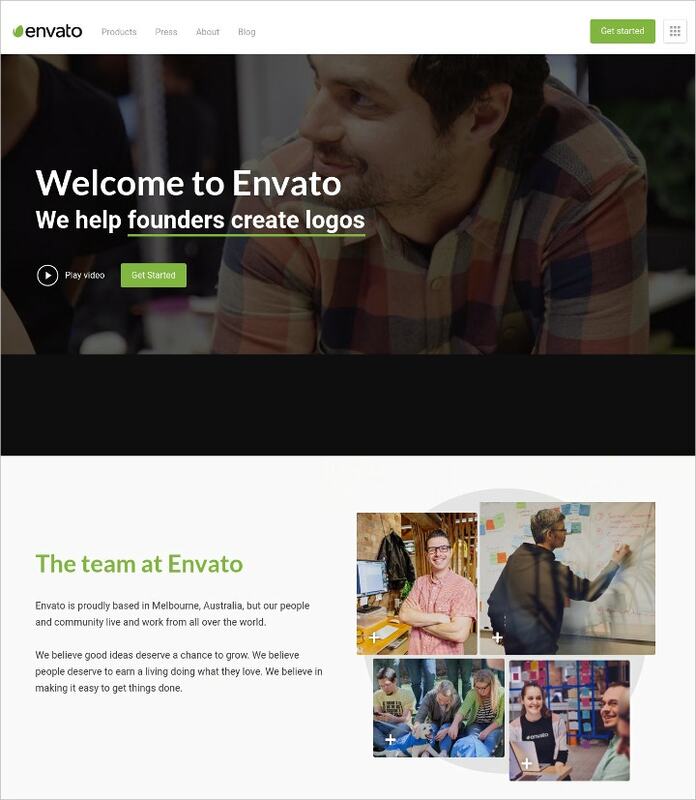 Envato is an online technological market and its homepage’s simple design with the video player and parallax scrolling generates interest in seeing what they can do. 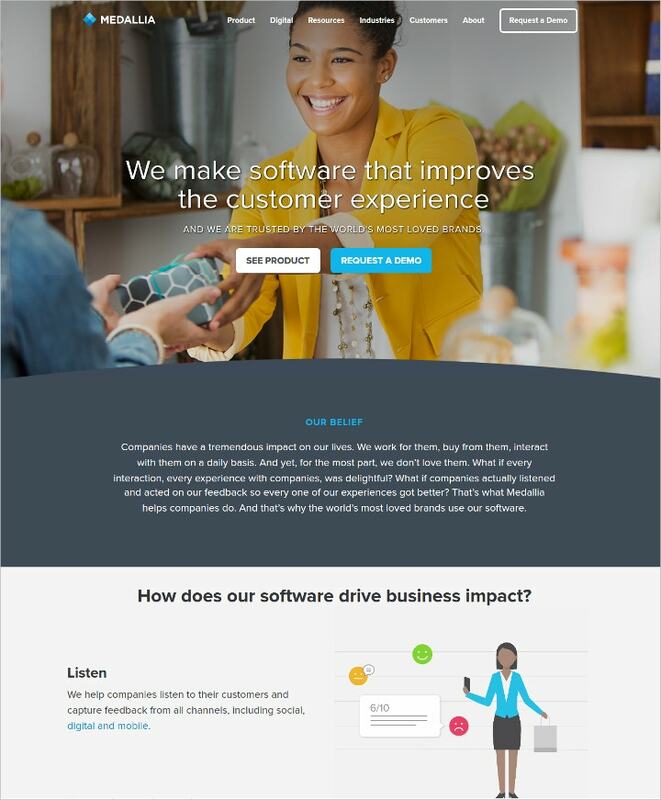 Medallia utilizes a big homepage space with call-to-action buttons that encourages customers to see the product or ask for a demo. The bold approach in exposing their product is also good for companies with free trials on their products such as those with software and applications. Wootten’s usage of neutral colors and large image slideshow in the front page is inviting to potential buyers. The simple yet elegant and sophisticated look is good as inspiration for online shops selling expensive items that are of high-quality material. 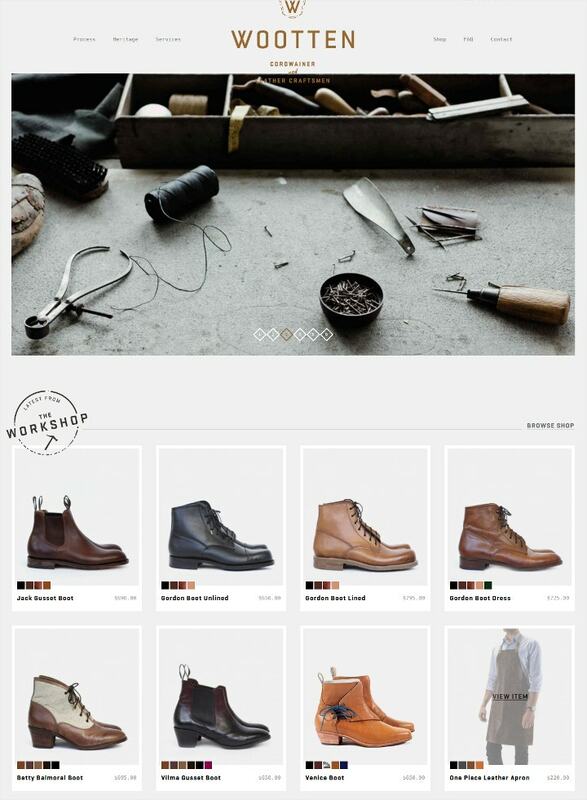 This can be touted as the perfect e-commerce website designed. Oakley has already established itself as an outdoors and adventures brand. Its website is programmed to change its images and contents based on the location of the customer viewing the site. 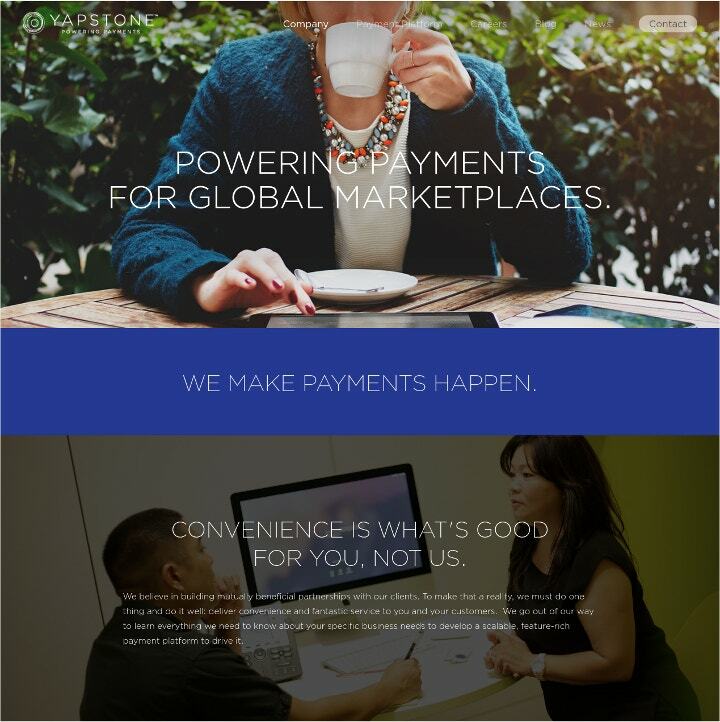 Other global companies with different branding styles per region can take this web design as inspiration. Boundary Breaks Vineyard has a static front page with a scrollable image, where its address is displayed in huge text. This kind of approach is beneficial to local specialty shops and small businesses that can only be found in a particular place or area. 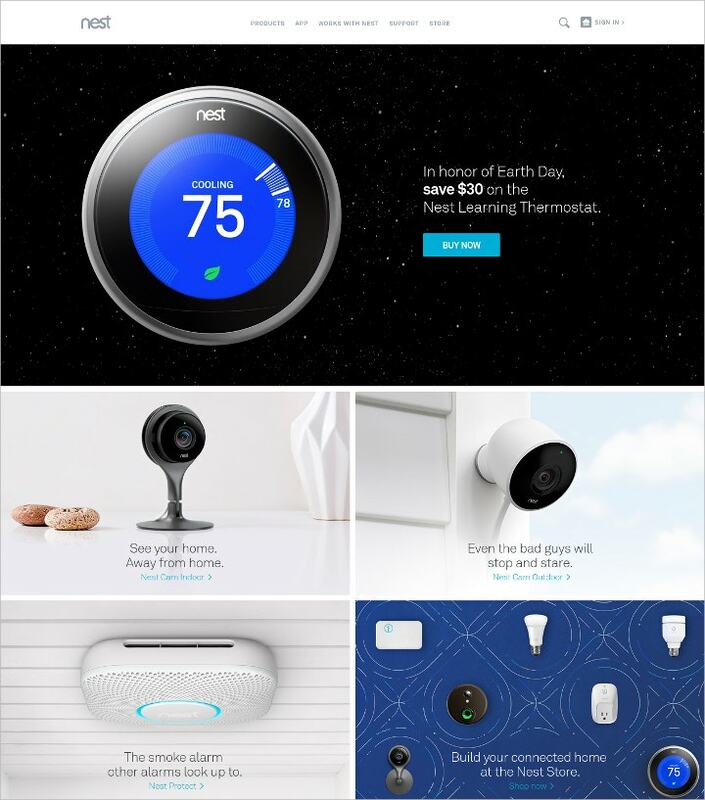 Mint introduces its product and application in one scroll through the homepage, giving a quick introduction to what it is and what it can do for its customers. If your product is something that can be introduced with only a few illustrations then this kind of layout is ideal for you. 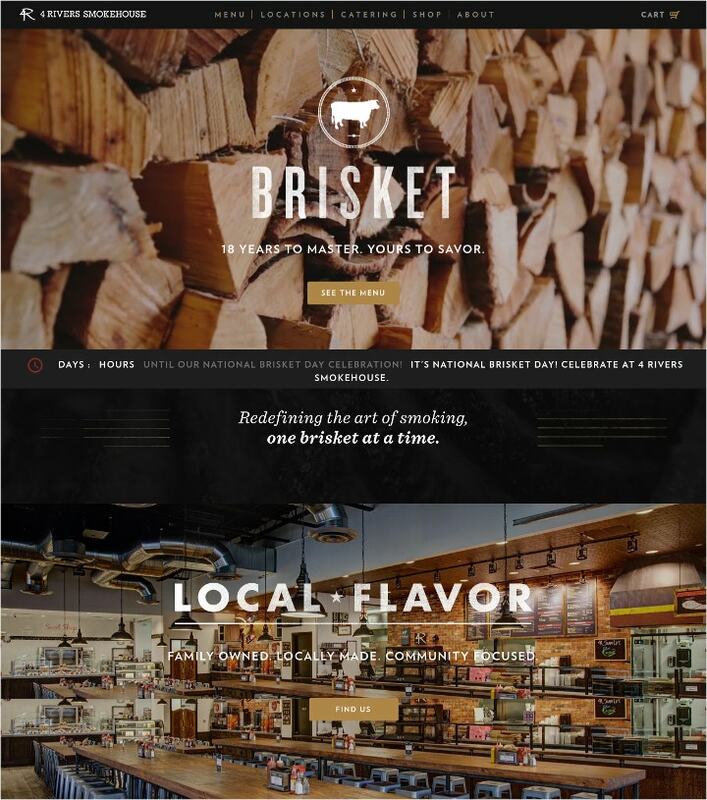 The 4 Rivers Smokehouse page is an excellent inspiration for catering businesses and restaurants. Their homepage has a good scroll-through story and a video of a delectable steak, which is the first thing you see upon opening the site. 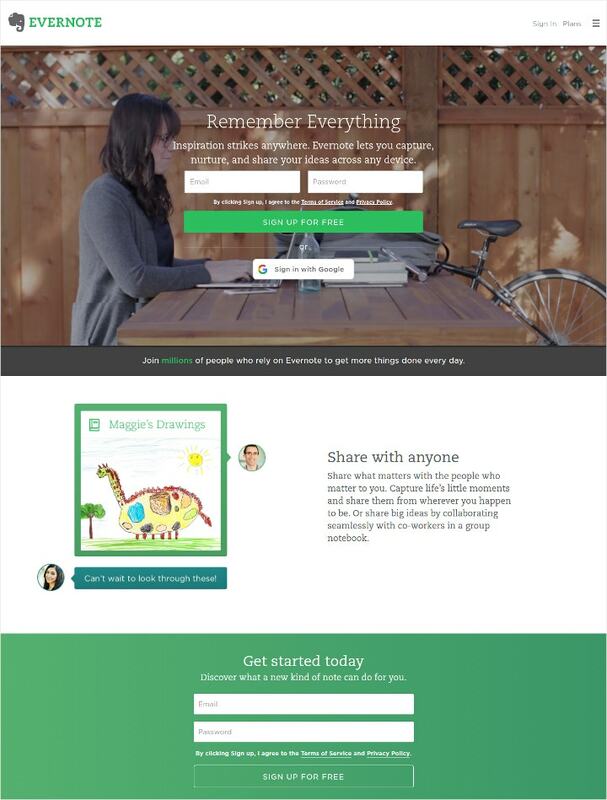 Evernote’s simple design provides emphasis on the video in their landing page. This style is good for companies who are confident of the target market’s familiarity of their products. This digital agency’s interactive scrolling and vivid color scheme is ideal for businesses that target a youthful and post-modern audience. 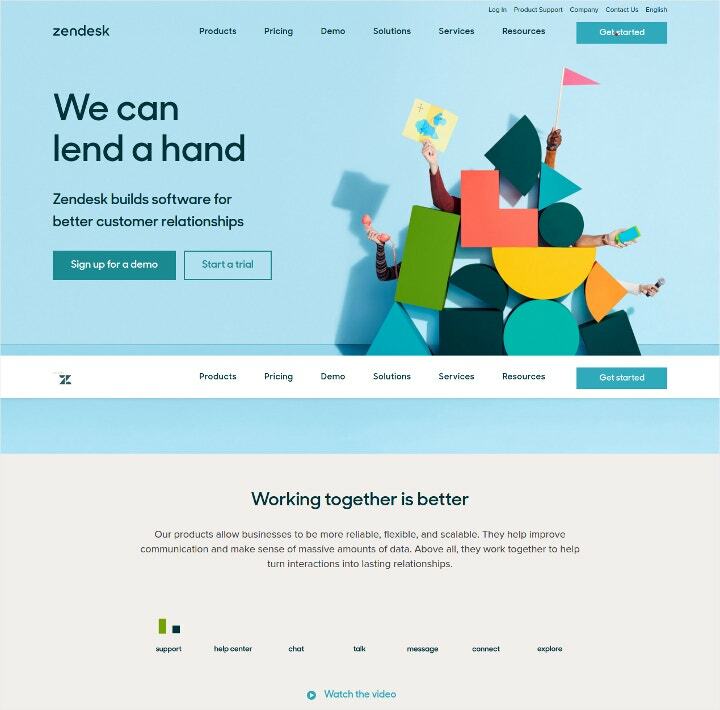 Zendesk’s usage of basic shapes and pastel color creates a comfortable feel. That kind of style is excellent for reputable companies that already have clients and are confident about what they have to offer. Quid’s corporate web page is a nice peg for digital agencies and other businesses in the information technology sector. 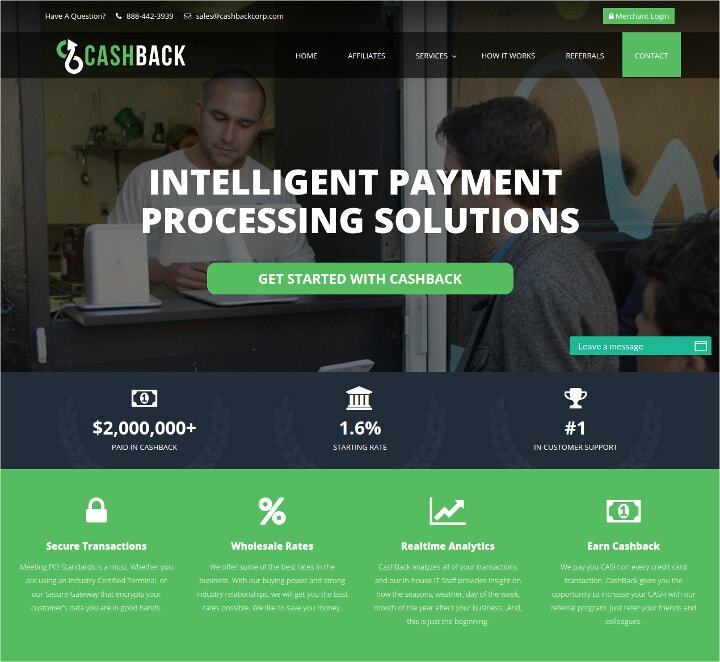 CashBack Corporation’s visual approach is straightforward, using icons and words that are suggestive of the industry they are in. This kind of layout is good for those in the business and finance industries. 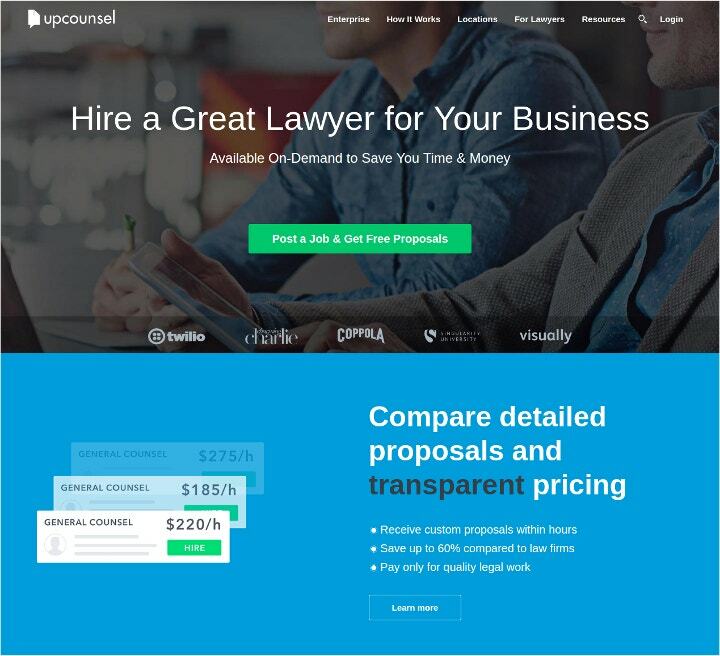 Upcounsel is a digital law firm and its design is similar to that of a digital agency’s, but with a more professional look. This type of scheme works best for companies that specialize in online marketplaces. 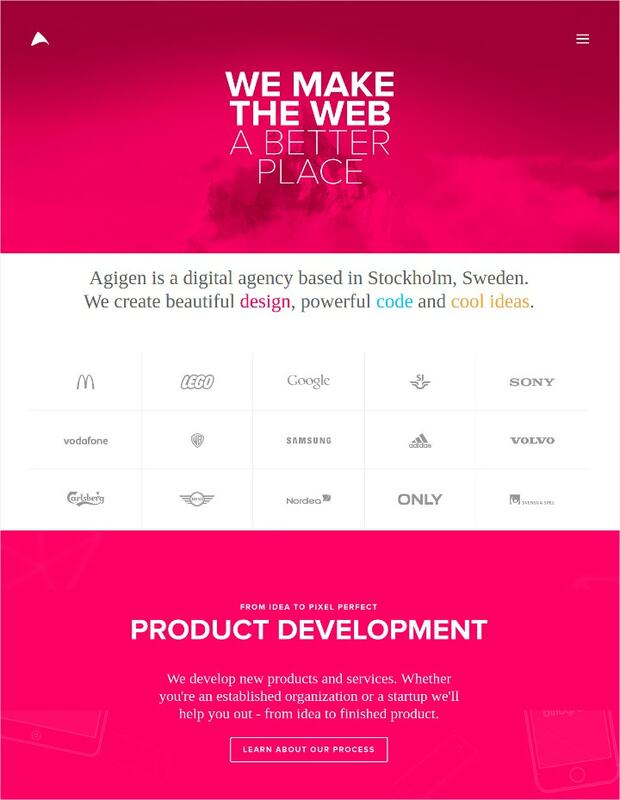 The websites presented above are beautiful representations of their companies and what they are about, but every business is unique. So check out for thousands of templates including corporate identity packages that are easy to edit and available for download here.